As the nights draw in and the sun fails to rise before we get to work the necessity of running in the dark finds us all. Here’s a few tips to help get through the winter. 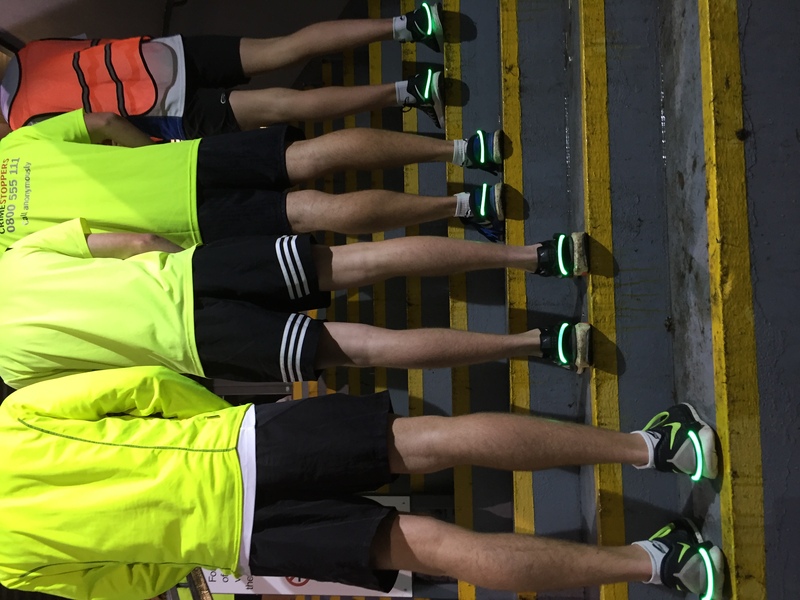 Wear something reflective or fluro. Making yourself really visible to other road users is key. Many running specific clothes have reflective elements built into them with materials like 3M Scotchlite . Running specific high visibility vests or gilets like Proviz. A clip on LED flasher also creates great visibility. Plan your run to minimise the amount of unlit streets. Runners are slaves to habit of using the same route but you can get inventive and change routes to stay under the street lights. A GIAAC winter favourite is the town hills circuit which is a lengthy run that loops round the various hills whilst staying in a small area. Bus & Run – ever thought of taking the bus to work and running home in the evening? Putting yourself in the position where you have to run to get home is a good way of making sure you don’t skip a run. Depending on long you want to run for you can always throw in a loop round town or the Bridge and Back under the lights before the final stretch to home. If you’ve got showers at work then you can reverse the process the next day and get changed into fresh clothes you brought in the day before. Layer to regulate temperature. Often we think its cold outside but once you get running the heat builds up and you can end up sweltering under too many layers. Rarely does it dip below 10c but often its windy and damp. A favourite bit of kit of mine is a wind or shower proof gilet over a base layer – keeps the torso warm even in the worst conditions whilst keeping movement free. Run with a buddy or join a group. 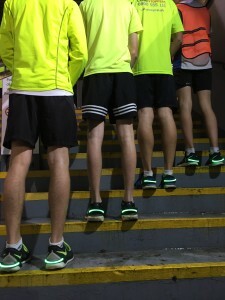 The best way to make sure you go for a run is to make a commitment to run with someone whether a friend or through joining a group, There’s plenty of running groups catering for all standards out there, some like Lee Merrien Running use the track at Footes Lane in the winter to avoid running on the roads in the evening. Time to change your kicks ? If you’ve been running all year in the same shoes then it could be time for an upgrade. Running on the roads is harder on the body so you need to make sure your shoes are in good condition and suit the type of running you do.